John Rolfe was baptized, and his parents buried, here. A sculpture of Pocahontas in Jacobean dress by Otillea Wallace, a pupil of Rodin, hangs on the church wall above a plaque dedicated to John Rolfe’s father. The church is open for visits Monday – Friday, 10am – 12noon and 2 – 4pm (Saturdays or other times by arrangement) between May and September. 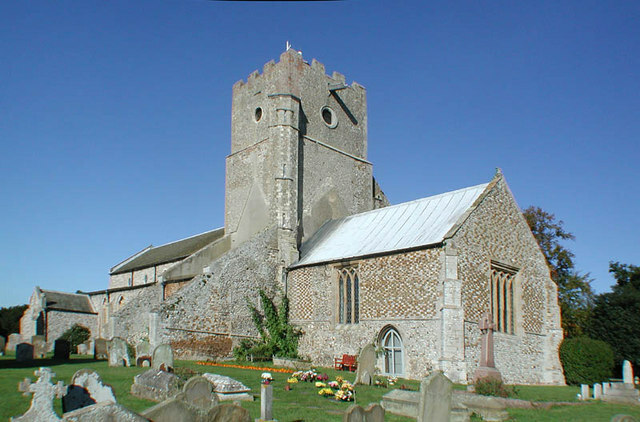 Download a walk around historic Heacham at Heacham-On-Line. Image courtesy of John Salmon. Licensed for reuse under the Creative Commons Attribution-ShareAlike 2.0 license.